A journey to find a famous grave and an exploration of the meanings of environment and home. After the death of environmental writer Edward Abbey (The Monkey Wrench Gang; Desert Solitaire), four of his friends took his body to the desert near Albuquerque, N.Mex., and illegally buried him in a hidden location. For decades since, the mystery of his final resting place has tantalized Abbey’s fans and followers. 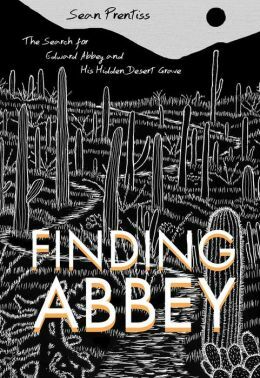 Writer Sean Prentiss set out to track down his hero, as related in the thoughtful Finding Abbey: The Search for Edward Abbey and His Hidden Desert Grave. Prentiss calls on Abbey’s close friends Jack Loeffler, Ken Sleight, David Peterson and Doug Peacock, several of whom inspired characters in Abbey’s fiction. He visits locations that Abbey called home over decades of peripatetic soul-searching. Prentiss does his own exploring, too. Though newly settled in the Midwest for a university job, Prentiss feels enticed by Abbey’s desert Southwest, a region he has also lived and traveled in. As much as he seeks a literal gravesite, or communion with a complicated man, Prentiss equally seeks a home for himself. Prentiss questions whether he really wants to find the object of his search. “Answers don’t solve questions. Only searching does.” His tone is wondering, and his quest is both personal (where will Prentiss call home?) and universal (what does a sense of place mean to anyone?). His goal might be disrespectful, considering the continued efforts of the Abbey camp to keep the grave’s location a secret, but Prentiss navigates this potential difficulty with sensitivity. While it offers no revelations, Finding Abbey is philosophical, poetic, a creative biography and a loving, evocative celebration of a controversial life. This review originally ran in the May 15, 2015 issue of Shelf Awareness for Readers. To subscribe, click here, and you’ll receive two issues per week of book reviews and other bookish fun! Rating: 7 cans of beer.